What a great card. Love the tag, flower and paper. And thank you for linking up. I so appreciate that. You are welcome to stop by and share your creativeness all summer long. Always love seeing your work. What a lovely card! 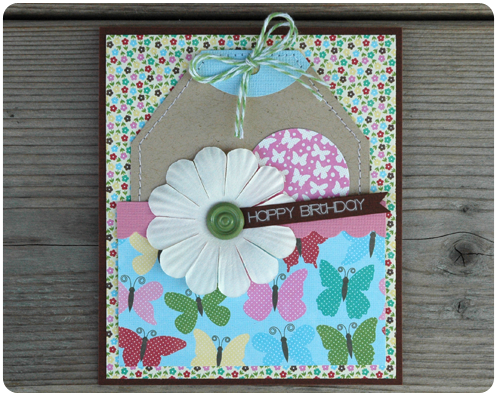 I love the colorful flower and butterfly paper. They are so pretty! Thanks Helen. This is some of my favorite paper. Thanks for reading. I wish I had this talent... I try and try but not there yet. Thanks for sharing with the LOBS party!! Thanks for hosting the LOBS party and for stopping by this space. 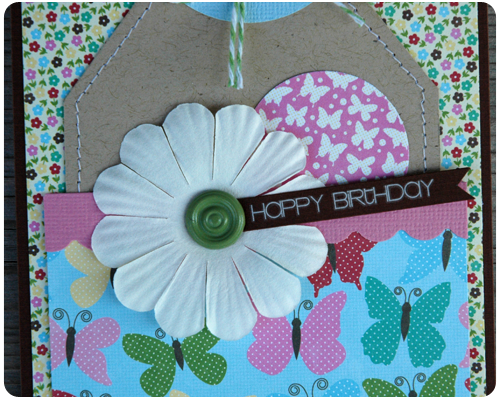 I always admire handmade cards and this one is so adorable! Is that a button in the flower? Very creative gal you are. Visiting from www.ritewhileucan.com via LOBS party. Thank you Barb. It is actually a brad in the middle of the flower - I just broke the prongs off so that it would lay flat on the card and not poke through to the inside. Thanks so much for stopping by. Very cute!! I love making stuff like this -- I need to take the time more often to do it! Thanks for sharing with us at LOBS!! Thank you for stopping by Michelle. That is beautiful! I just bought some supplies to make cards, but needed some tutorials, so I will be exploring your site! 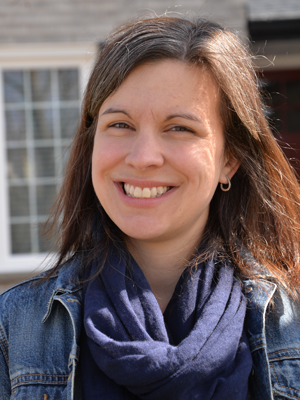 Visiting from ladies only blog share! Welcome Kat. I have lots of cards on my site - every Monday I post a new card as part of my 'Card of the Week' series. I hope you find some inspiration. Thank you for stopping by.